My team had an awesome game last Sunday and won away 48-16. No mean feat flying to Australia to play and we've got a home game on Sunday, tough turn around and we have lost two of our best players to hamstring injuries. Oh well time for the young one's to step up. 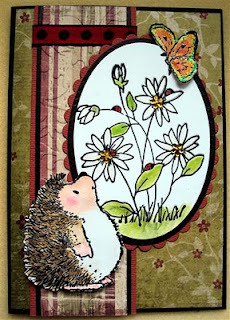 Such a lovely card, great layout! Lovely job! love the layering too! Just 'stumbled' across your blog Cynthia and I have to comment on Monty & Tess - they are adorable!